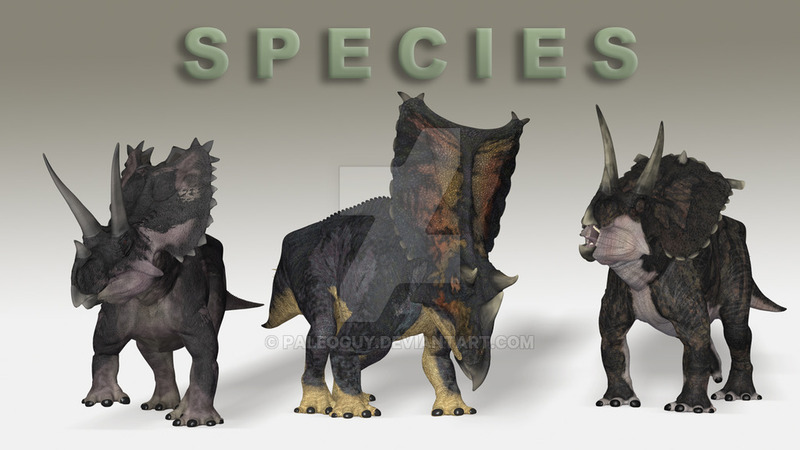 Pentaceratops is a dinosaur which lived around 65 to 75 million years ago during the late Cretaceous Period. 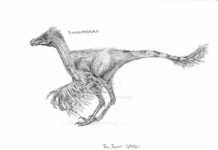 It was first discovered in 1921 by Charles Hazelius Sternberg in the San Juan Basin in New Mexico. It was described and named in 1923 by Henry Fairfield Osborn . 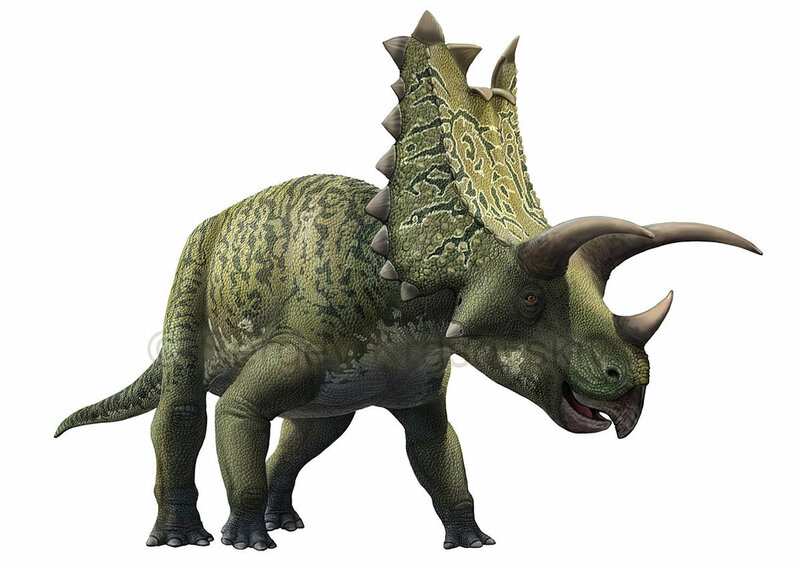 It’s name means “five horn face”. 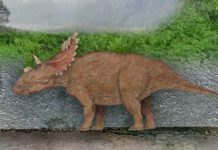 An interesting fact about Pentaceratops is that it looks very much like a rhinoceros, except for a few key differences. 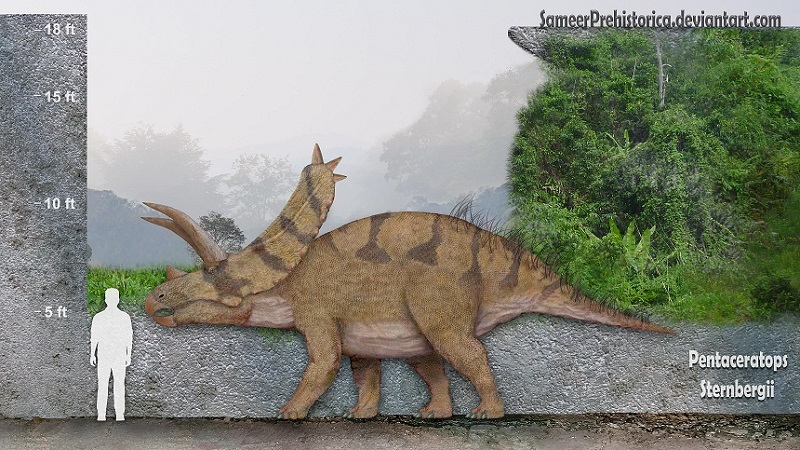 It was squat, walked on its four legs and had 3 horns on its face. 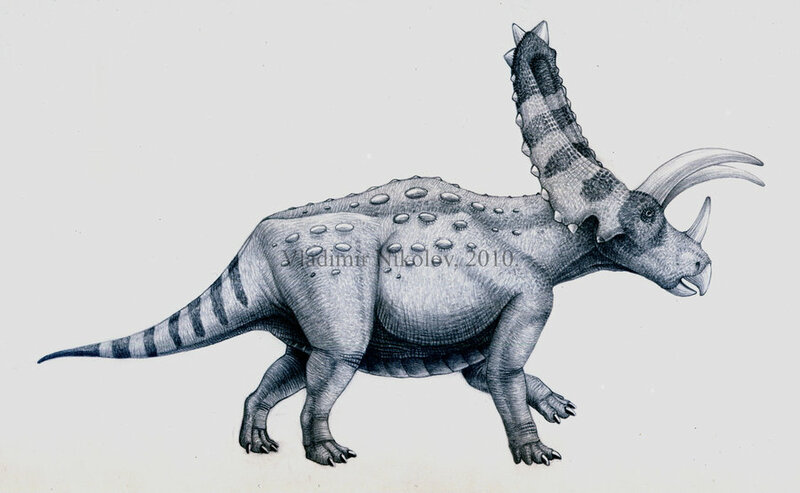 It also had a large bony frill that was on the back of its skull. 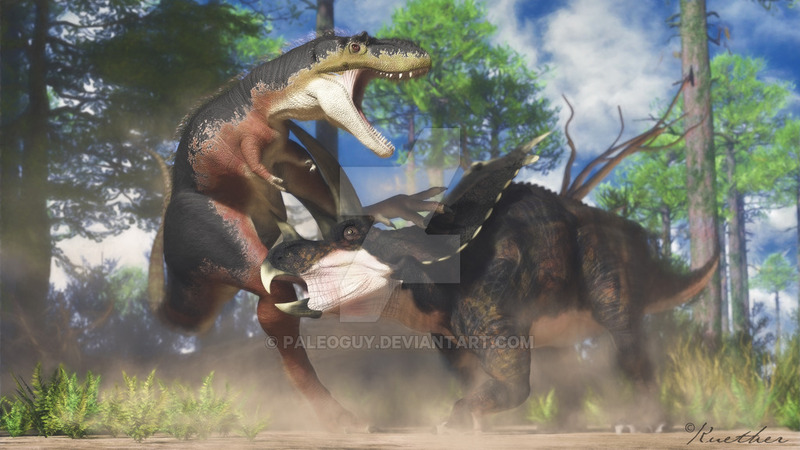 This dinosaur was around 28 feet long, 10 feet high and weighed about 8 tons. 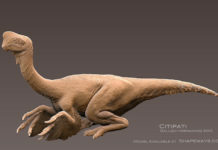 It also had a beak and a lot of cheek teeth which it would have used to process plant material. 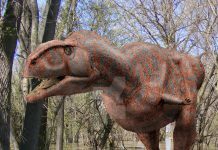 Since this dinosaur was an herbivore and was fairly low to the ground, it probably feasted on plant life that was close to the ground. 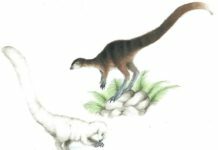 This would have included cycads, club mosses, seed ferns and maybe even palms. 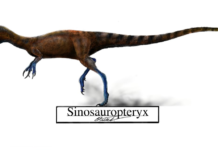 This dinosaur probably didn’t have a whole lot of problems with predators. 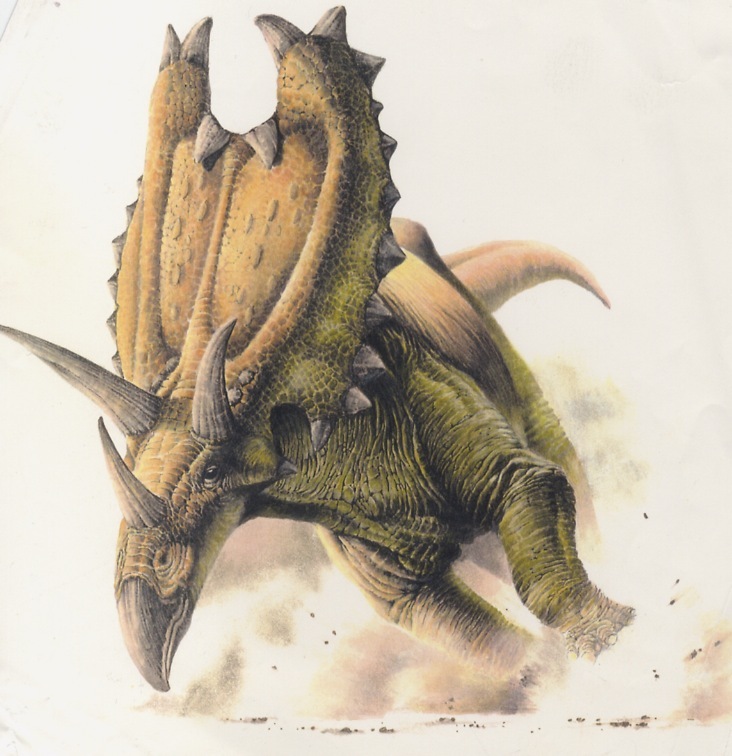 Not only did it have a bony armor like skull, but it probably could have used it in much the same way a rhino does—by using it as a battering ram.